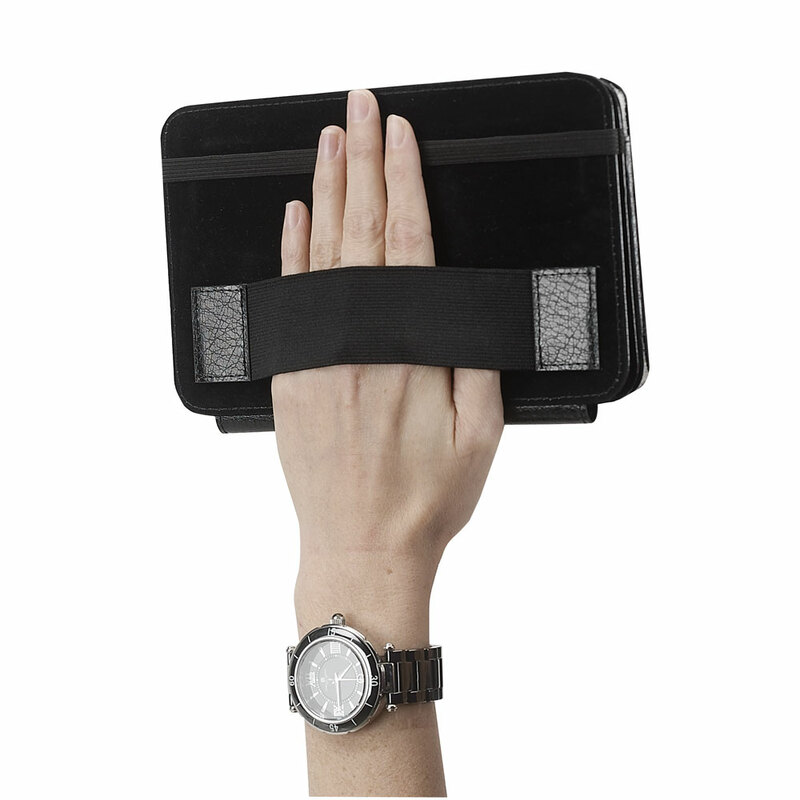 Made of bonded leather, this unique tablet case is designed to fit most brands of 7” tablets. 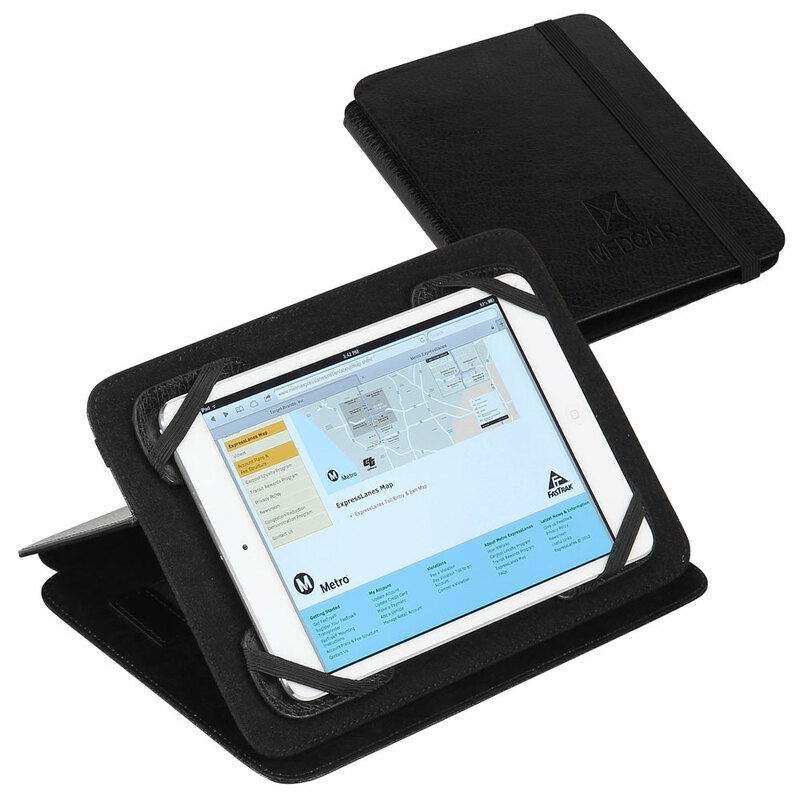 Featuring 4 moveable corners, it adjusts to fit the size of your tablet. A secure, elastic hand strap allows for effortless handheld viewing, and multiple grooves give the user different angle options for an optimal view. Sleek suede lining also helps to protect your tablet. Pack Info. : 24 pcs / 20.00 lbs. Pack Note: (Actual Weight) / 16" x 15" x 11"